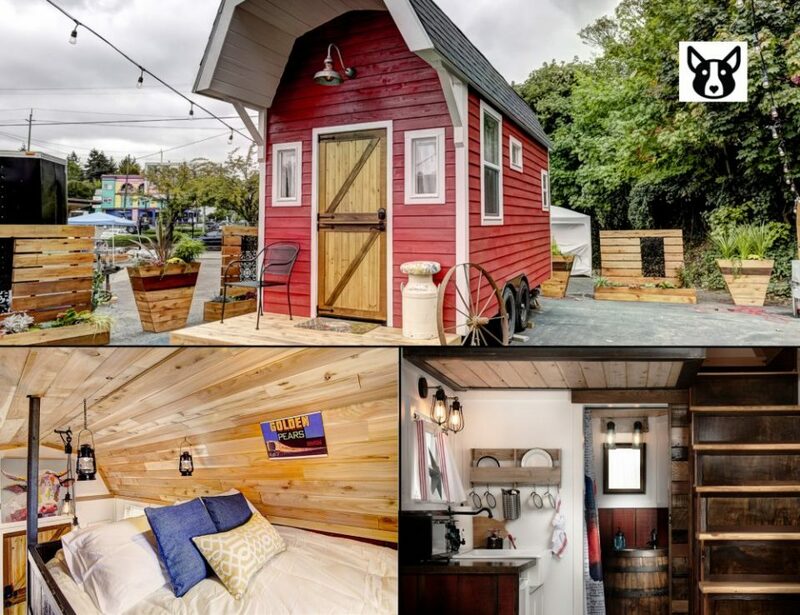 Ever wondered what it’s like to stay in a tiny house? 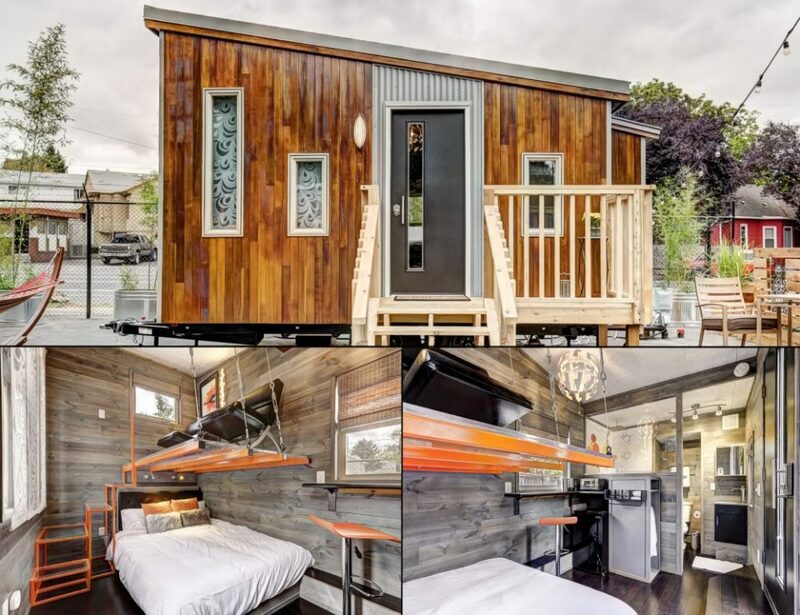 Check out this hotel in Portland with tiny houses-on-wheels that are individually themed. 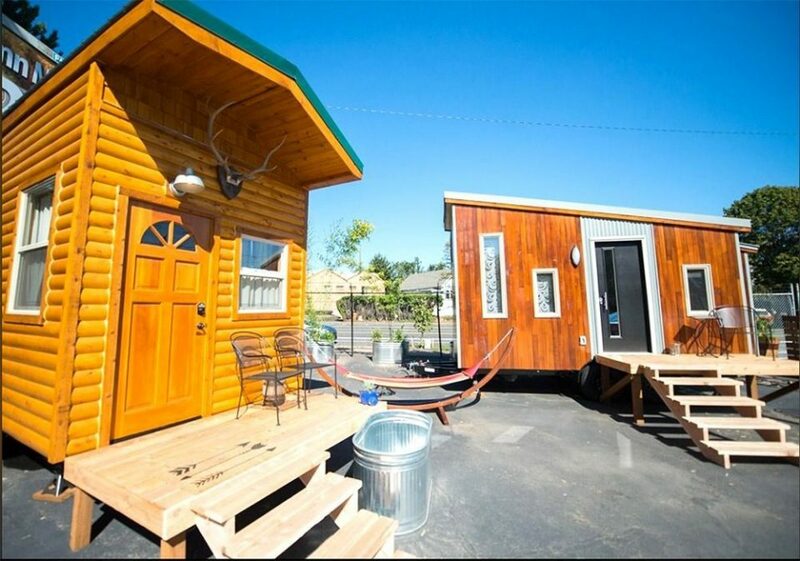 Tiny Digs in Portland, Oregon offers a more unique lodging experience than chain hotels. 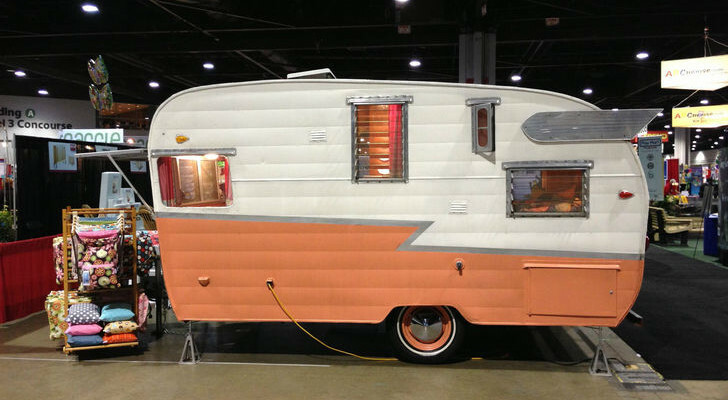 Instead of plain rooms with basic amenities, their accommodations include custom-built tiny houses-on-wheels that are all individually themed. The hotel, which recently opened in 2016, has six custom units that are fully furnished and self-contained. 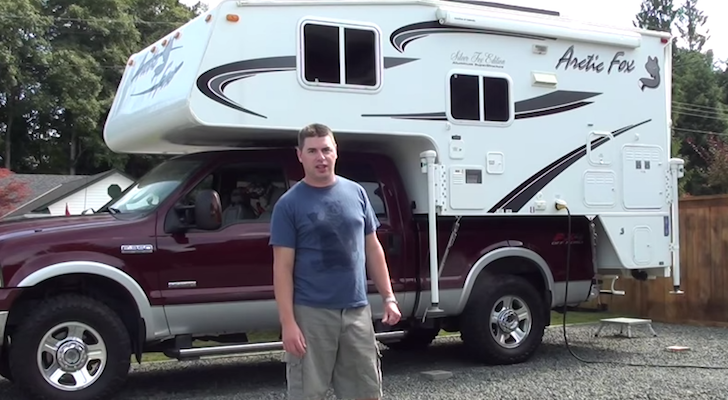 Each tiny house includes an attached deck, A/C, electric heat, running water, a hot shower and flush toilet. They also have a small kitchen area where you can cook a small meal, along with complimentary tea & coffee. 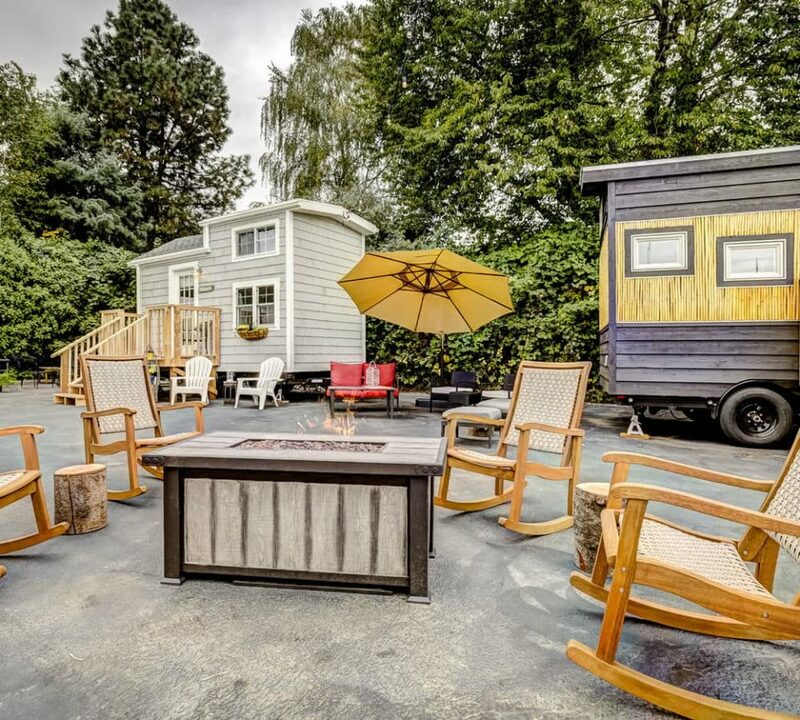 Strategically arranged, all of their tiny houses surround a main guest hang-out area. Couches, tables and a fire pit make it cozy, while guest food trucks and music keep it lively on select nights. Just a short walk away is Portland’s Restaurant Row on NE 28th Ave, where you can taste everything from a cold brew at Migration to a great slice from Ken’s Artisan Pizza. Tiny Digs is located in Portland’s laid back Kern neighborhood, just a short drive from downtown. 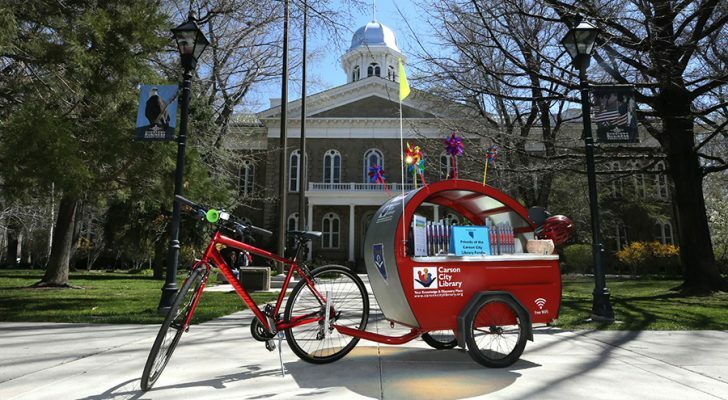 It’s the perfect home base while you explore the eccentric city. 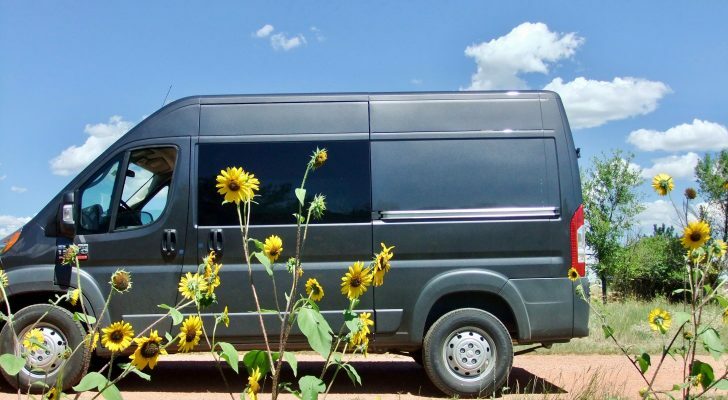 Each of their six tiny houses-on-wheels has something special to offer, and some are even pet-friendly. With farmhouse charm and rustic touches, this quaint red barn is delightful inside and out. The living room is accented with wood and denim, while a whiskey barrel vanity in the bathroom makes it one-of-a-kind. There’s also a drop-down table and tractor seat stools for dining. By the evening, you can climb up wide steps to the loft area, and unwind on the comfy queen mattress outfitted with luxurious linens and pillows. 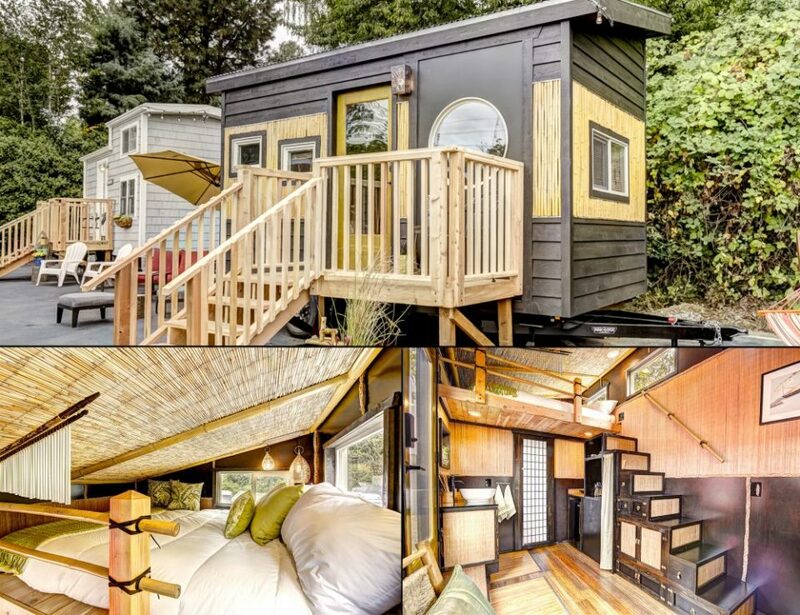 Everything about their Modern tiny home is chic and stylish. But what makes it especially unique is the leather seat and clear loft floor, which are built suspended over the main bed area. Clear steps make it easy to climb up top, where you can relax and enjoy a birds-eye view of the whole space. The sleek interior includes a rainfall shower head, LED faucet and see-through wall in the bathroom. 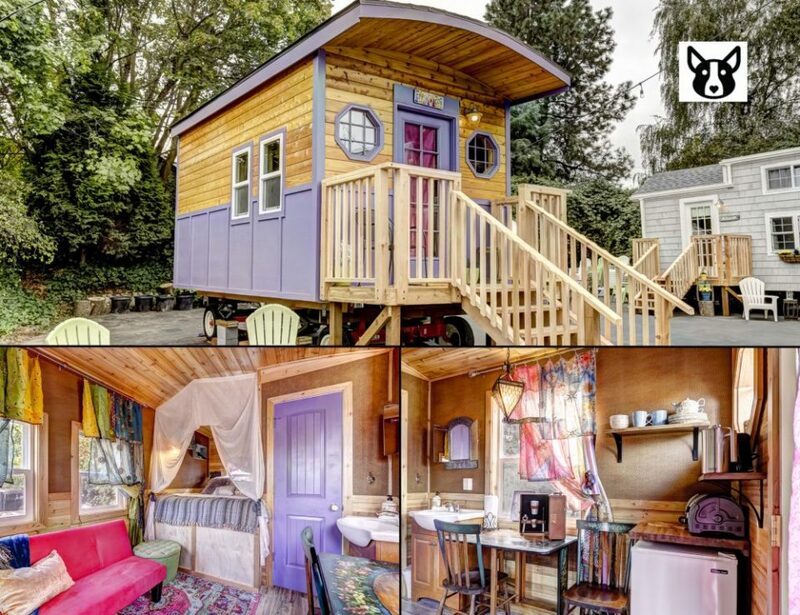 From just the outside you can tell Gypsy Wagon has charming Bohemian style. 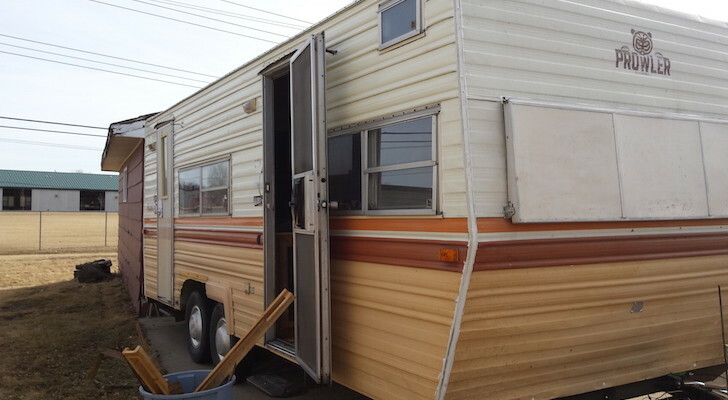 The exterior sports a cedar-lined bowed roof, while the interior features a lovely canopied bed chamber. Everything from the curtains to the Moroccan pendant lights give it a real hippie feel. 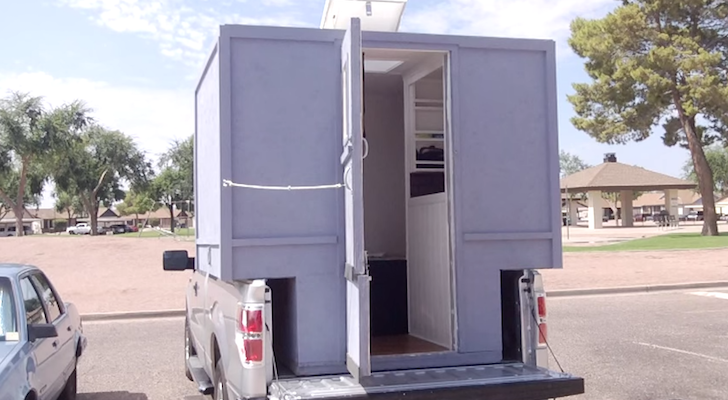 The main queen bed sleeps two, but the wagon also has a couch that folds out to a single bed for a child. 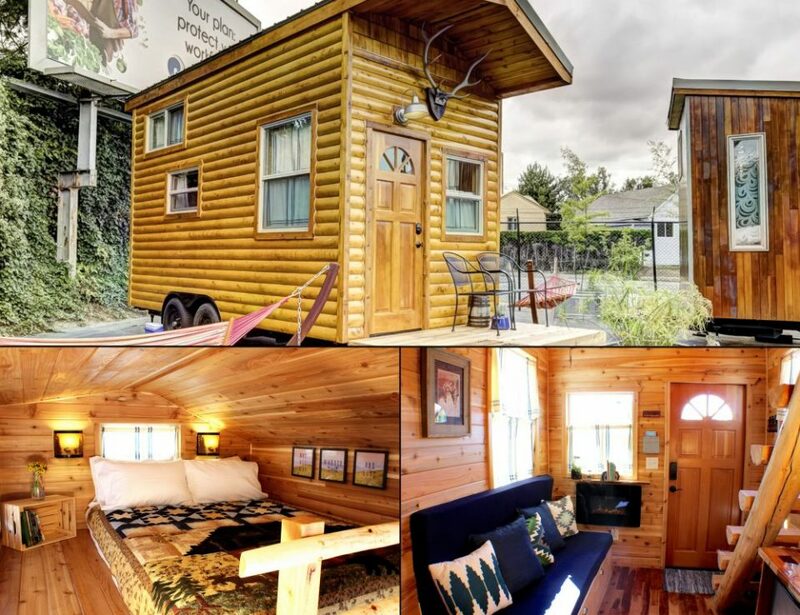 Just like real cabins, this tiny house was built to be cozy. Made with a variety of fine woods including cedar, acacia and blue pine, their Cabin is a complete woodworking masterpiece. On the outside it features siding from local Port Orford wood, while the interior has a tongue & groove cedar floor. On top of its beautiful wooden features, it’s currently their only tiny house that has a fireplace. A stairway made of logs follows up to the loft, where you can kick back and marvel at the home’s real antler chandelier. 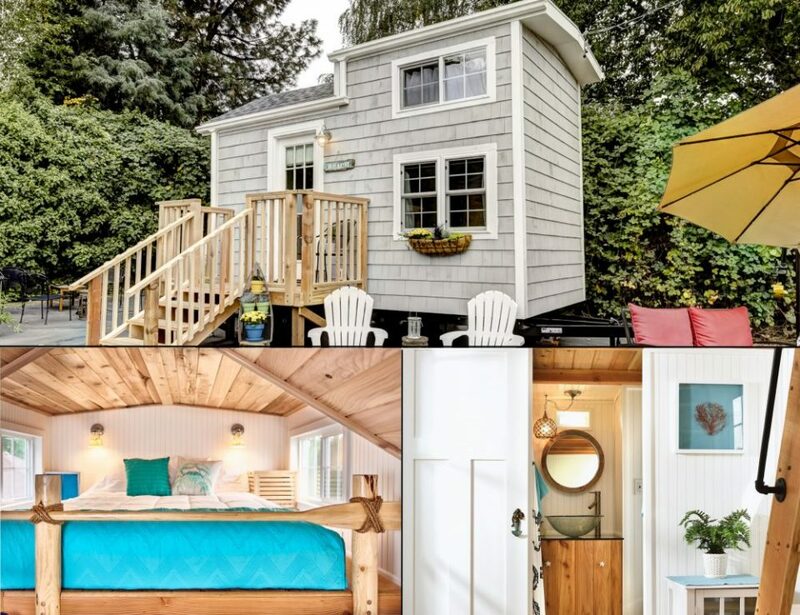 The coast isn’t a far drive, but this tiny house brings the beach to Portland. It’s decorated with classic beach style, with white walls, turquoise accents, and an elegant vessel bathroom sink built above a bed of sand and seashells. 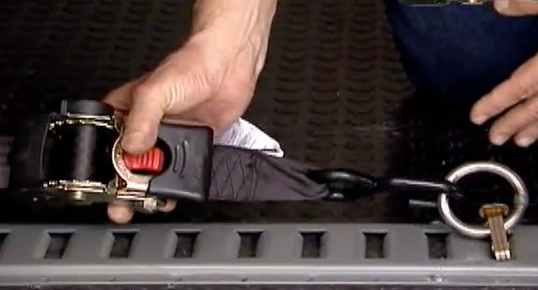 A queen memory foam bed is in the cedar-lined loft, and can be reached by climbing a wooden ladder. Inspired by Japanese design, their Bamboo house is strikingly sophisticated. The exterior features a dark-stained wood, while bamboo is included throughout the inside. Gorgeous Tansu stairs lead up to the loft where a queen bed sleeps one or two guests. In the bathroom is a vessel sink, built over black river rocks and jade stones. There’s a lovely Shoji screen door, and even a koi pond out front. During peak season (from May-September), their current pricing is $165/night on weekdays and $175 on Fridays and Saturdays. By the off-season (October-April), the cost lowers to $145 from Mon-Thurs and $155 on Fri/Sat. All year, they have a two-night minimum stay on weekends only. 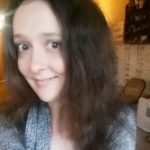 For more details on staying at Tiny Digs, check out their website here. 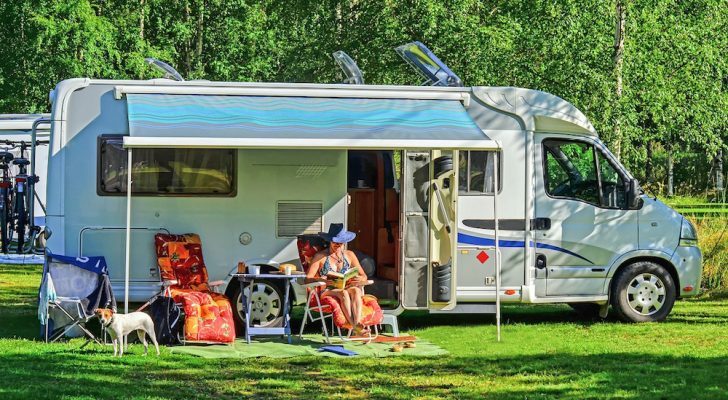 You may also like: Tiny Homes vs RVs: Which One Is Right For You?